Warning: A non-numeric value encountered in views_plugin_pager_full->query() (line 268 of /usr/home/tao2/public_html/new.srgcds.ac.in/sites/all/modules/views/plugins/views_plugin_pager_full.inc). 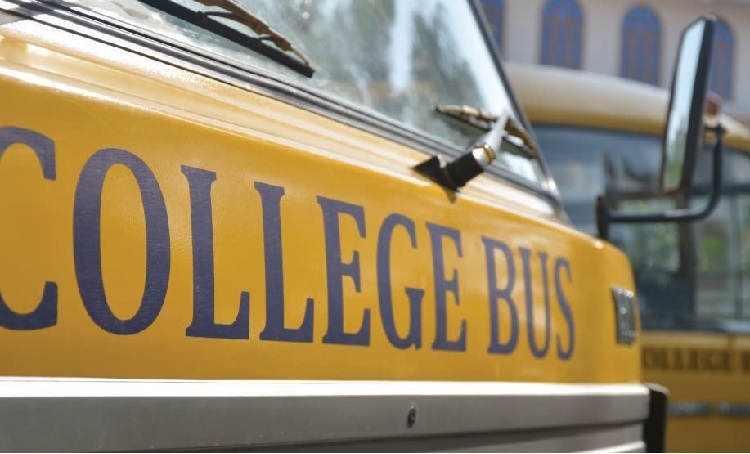 College buses are available to the students for daily trips and various academic and other programs. In addition, many public transports are also connected to the campus location. The panoramic campus even with capturing beauty of Nature by plenty of trees and plants and many landscapes, has adequately provided facilities for many games and activities of both indoor and outdoor for the good development of mind and body of the students while undergoing their study in the course duration. 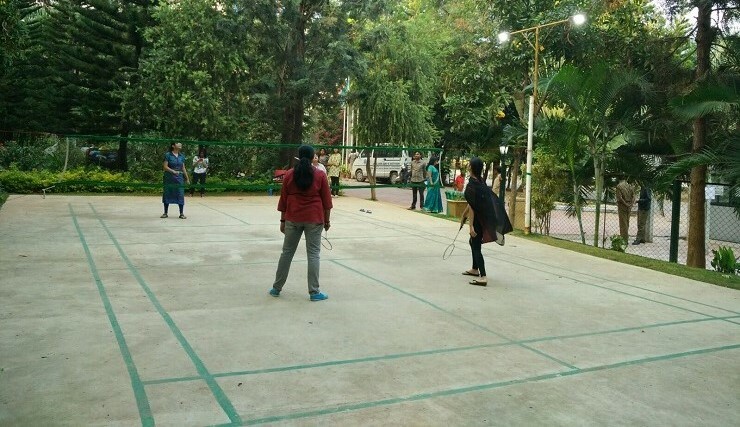 There are basketball court, badminton court, volleyball court in the campus. Also, the facilities for football, cricket and athletic events and practice are available off campus with the transport facility provided by the college. Newly introducing facility for swimming pool and gym will start shortly. The campus consisting the colleges and hostels are fully secured with adequate trained guards and with CCTV monitoring system. All students and staff are provided ID card from the institution and their vehicles are allowed to park in the campus with the institutional permit sticker on the vehicle. Other vehicles are allowed entry to the campus with the proper checking by the security personals. The institutional staff and hostel students are allowed to move in and out to the campus after 07.00 PM through night till 07.00 AM only with their ID card for the physical verification by the security guards. Others are not allowed entry to the campus during this time, unless permits by the institutional authorities and physical checking by the security guards. Any suspicious and endangering item or incident, noticed in the campus by the security personals will be immediately reported to the college authorities and to the police department as may be required. The research Centre of the institution has adequate facilities for the research activities by the teaching faculties and post graduate students in all the specialties. All national and international journals in both medical and dental subjects are available in the Central library in addition to the large collections of reference books in the departmental library for the study of research activities and updating the knowledge across the world. The college is also publishing dental journal regularly by name "Dental Era". The case studies and reports done by the faculties and students are published in the dental journal of the institution. The faculties are allowed to take up any projects relating to dentistry research and study with the institutional infrastructure. The dental college has facilitated a Computer lab with 30 latest systems, all with internet connectivity, printers, scanner and server. The lab provides facility for university online valuation work of the examination answer scripts for all streams of medical education as required for the university. The college campus is Wi-Fi enabled for the excellent networking of all the computer systems in all the departments of the college and for the usage of authorised mobiles and laptops. Secured Wi-Fi networking and internet is also available in the hostels, hospital, canteens, and cafeteria, even in garden and playgrounds. The college has hostel facility for the girls and boys. 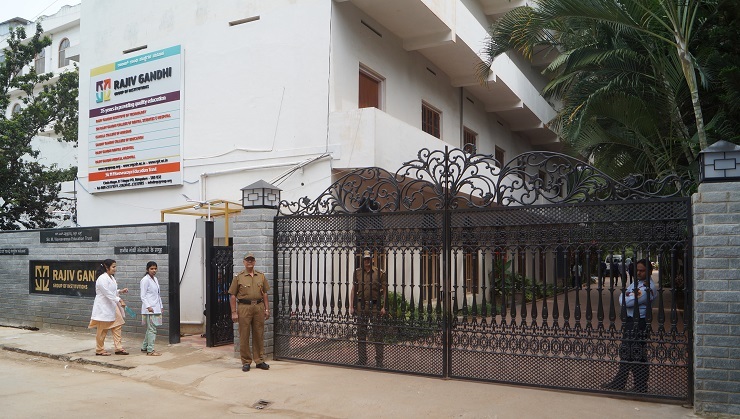 The hostels are situated in the college campus with a capacity for 300 students. Different types of rooms are available for the students. Rooms with sharing bath room and private rooms with toilets attached are unique for the students to choose, subject to availability. Common Television Entertainment, Indoor games facility, Yoga Room and Meditation /Prayer rooms are also provided in the hostel. 24 Hours warden is available for good care of the students in hostel. Outside foods are not allowed inside the hostel to avoid food adulteration. On Call Doctor and Nursing facility is available in the hostel. Local guardians and visitors are permitted to meet the students in the Visitor room during day time after 07.00 AM and upto 6.00 PM. Many varieties of food and snacks of both vegetarian and Non-vegetarian are available for students in their favourite taste in different styles of Indian and more.